Doctors in the marine clinic, where Courage was brought, help him regain his buoyancy. To date, his buoyancy is back to normal. 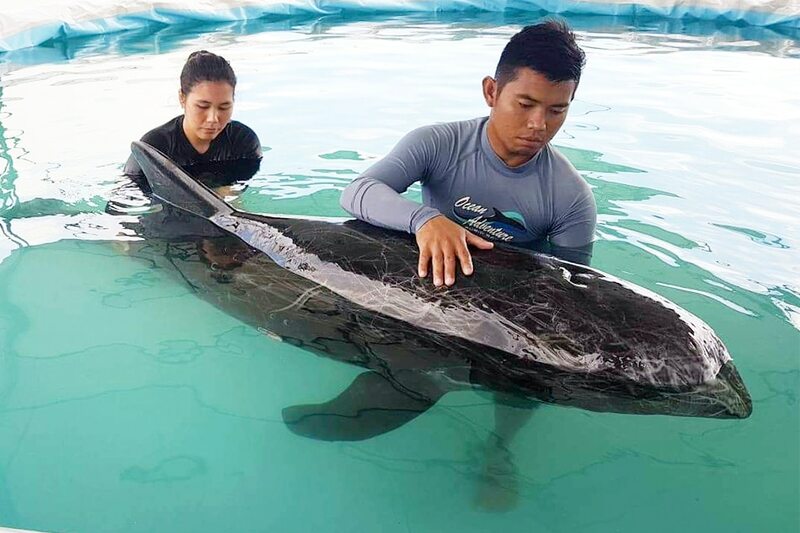 A week ago, two dolphins suffered different fates, their stark contrast reiterating the role of community involvement in conservation. Thursday, the 10th of January. 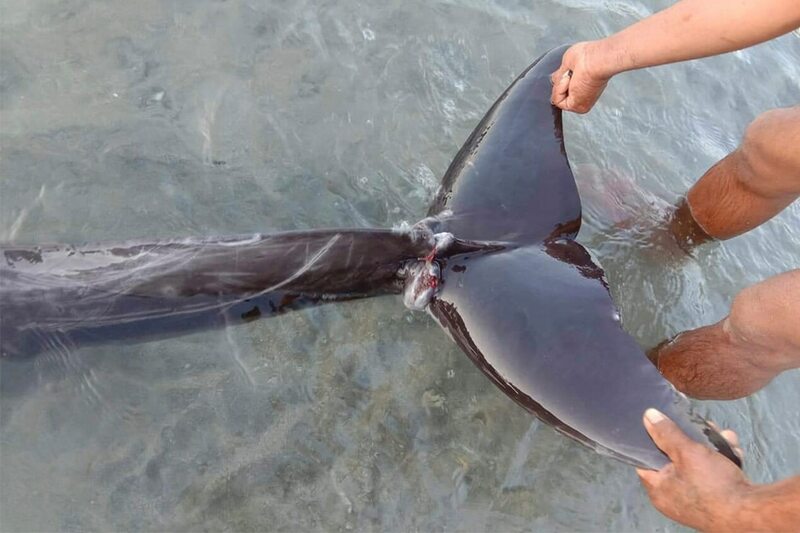 A Risso’s dolphin is found floundering off the coast of Playa La Caleta resort in Morong, Bataan. Scratch marks and a sizeable wound cover its gray body, inflicted during an encounter with a shark. 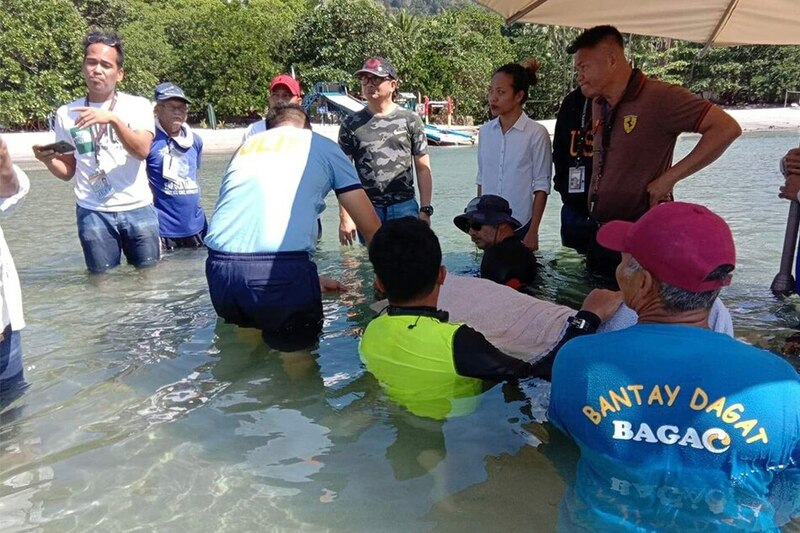 Action was swift, and soon the local coast guard, the Philippine National Police and Bantay Dagat rangers had the dolphin off on its way to rehabilitation. “Courage,” they named it. Playa La Caleta scrambled to establish the proper team to execute the rescue within the next 2 hours. He was named “Courage” because despite the wounds, infection, and lowered blood and heart pressure, he remains a fighter. Local news and social media was quick to pick up on the story. It’s not every day we get to save a dolphin, after all, especially one as injured as “Courage” was. As the good news got round, however, a tragedy flew by under the radar. 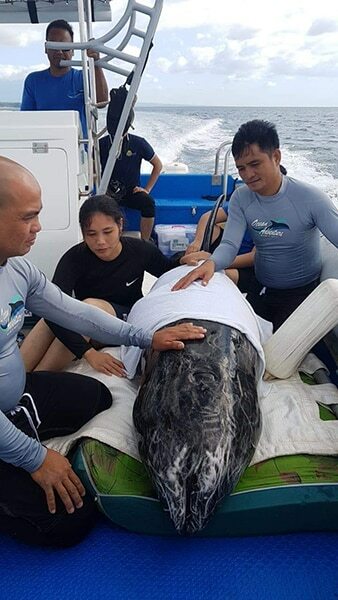 On Sunday, the 13th of January, an Irrawaddy dolphin was found rotting off the coast of Sitio Can-Itum in Bago, Negros Occidental. The carcass was well-rotted, but a large gash running along its side suggested death by injury. Man-made or not, they couldn’t tell. 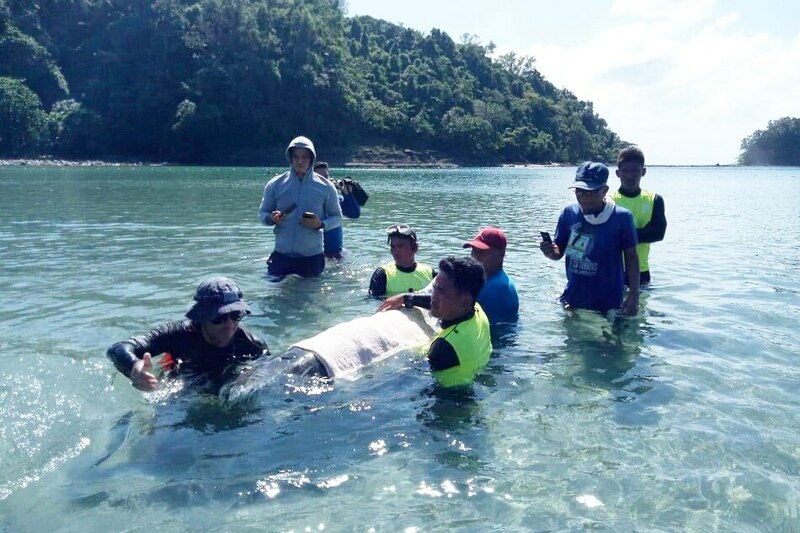 Last January 10, 6am, report was received of a badly wounded 9-foot male Risso's dolphin stranded in the PLC cove. 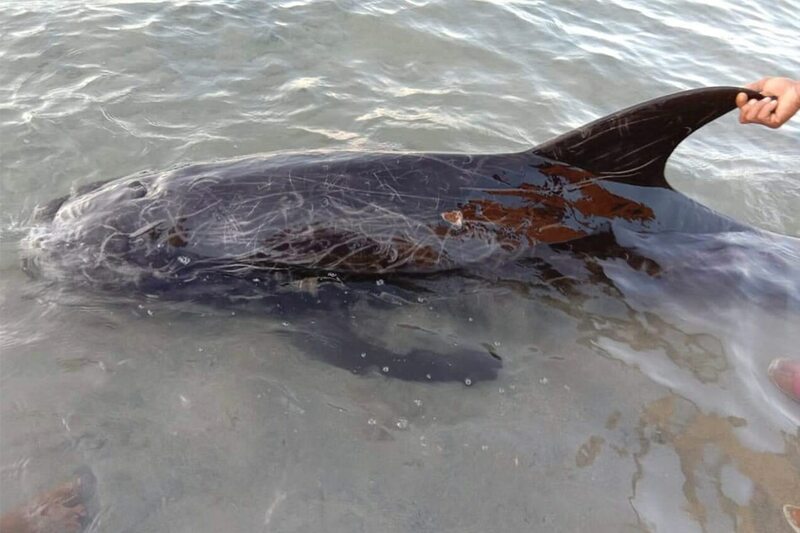 Initial inspection indicated cookie cutter shark bite marks in the body and severe tail fin laceration caused by a fishing line/hook entanglement. PLC lifeguards tried to bring it to deep water but it kept coming back to shore. The Irrawaddy may have been past the point of rescue, unlike Courage, but its death is still a point of concern in light of other recent, massive stranding incidents. In 2009 a stranding event left 500 dolphins beached on the shores of Bataan. Fast-acting media reports led to quick action, which meant only three dolphins perished. So massive a stranding, however, had never been seen before. As his heart beat stabilized, Courage was lifted up and taken to a marine clinic in Subic. He is currently not able to eat on his own and is under trauma recovery and physical treatment. Once strong enough, he will be released back to the wild. What’s the cause behind such stranding events? Everything from stress and disease to oceanic noise pollution and climate change leaving dolphins disoriented, experts suggest. Anthropogenic causes are always seen as a shadowy culprit behind these incidents, too. It may have been too late for the Irrawaddy found in Negros, but stories like that of “Courage” show that when trouble strikes and an animal finds itself in danger, we have the ability to do something about it. Good community education will help save many more dolphins—and with comprehensive conservation work and careful care of the way we treat our oceans, perhaps all creatures will have a little bit more of a fighting chance. The International Whaling Commission asks that the public their distance and contacts the appropriate authorities when approaching beached whales and dolphins. For more information, visit iwc.int. For more information on WWF’s Improved Fisheries Project, visit wwf.org.ph.